I grew up watching anime, Magandang Gabi Bayan (except in Halloween), and Oprah. Who doesn’t like variety? Years have passed and I no longer yearn for Sailor Moon and so is my habit of watching TV. But the memory lives on. I love watching Oprah because the show inspires people with different stories. And one day, Kiva is featured on the show. It is a non-profit organization that allows individuals to lend to others who wants to venture in a business. Wherever and whenever, you can help people realize their dreams. Who doesn’t want to become part of this movement. People helping people. Someday I’ll become part of Kiva and become a lender. The dream was put on hold but never forgotten. One of the perks of working overseas is to be able to financially help our loved ones and others. I didn’t know what took me so long, but I finally made my dream come true and a kababayan by becoming a member of Kiva. This is not a bragging post. But I dare say that we all have bragging rights to let others know of the many ways we can help someone start their own business. With the same price as two medium-size hawaiian pizza, you can become a member of Kiva and start lending. That’s worth $25.00 which is equivalent to C$30.00 or more depending on the current exchange rate. You only have to spare eating a pizza once because the money lent to a person is lent over and over again. It’s a cylce of giving with a huge impact. The possibility is endless. For starter, I decided to help a kababayan in her tailoring business. With additional funds, she can buy more tools and materials for creating clothes to her customers. Fun Fact: You can view in real time the funding of goals. It’s amazing to see the cooperation of people who hardly knew each other. Caring is universal. 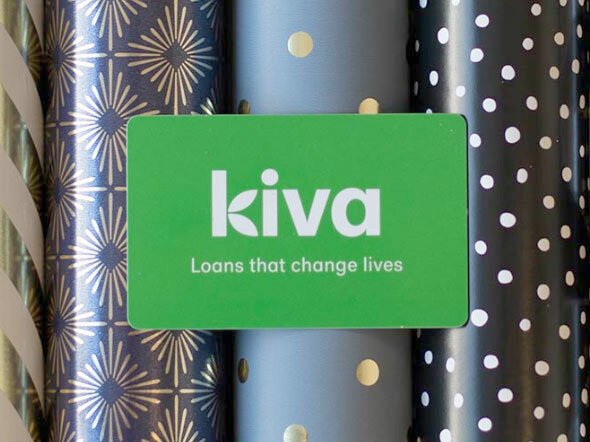 Donating to Kiva is as easy as shopping online. But unlike a spending spree, donating doesn’t come with guilt. Let me help you walk through it. Choose a borrower from any country, age, goal, etc. Click $25.00 (minimum donation) then proceed to checkout. You can change how much to donate. Choose how to pay: PayPal or credit card. The loan will be paid back to you to fund more goals. The donation is a contribution to the Kiva operation; there’s no repayment. Wherever you are right now, you can join a team on Kiva. Choose from the many established team or start your own. Start a team from work, school, or friends. If you are Filipino, join me as a member of Team Philippines. Let’s work together in funding our kababayan’s goal. This is our modern day version of bayanihan. Let me know what team did you join. Share where are you from and what cause are you supporting. Aside from becoming a lender, you can do other things to support Kiva in changing the lives of people who aspire others to work hard in reaching a goal. It just goes to show that you can do a lot of things to help change the lives of others. For now you can become a lender then maybe in the future, you’ll work or volunteer in Kiva. For now, I am a lender and a blogger spreading the ways of how to inspire people with a simple act of funding. If you are a blogger/lender, let me know in the comment so I can make a list in the blog post. This is what I love about blogging. We get to write to pay it forward. Let’s support the goals. Your contribution matters. Who do you have in mind to help through Kiva?